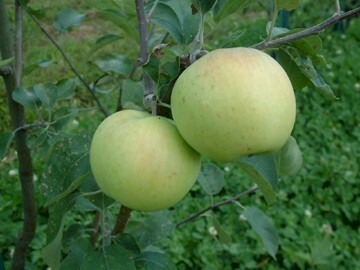 One of the earliest season apples and perhaps one of the oldest. 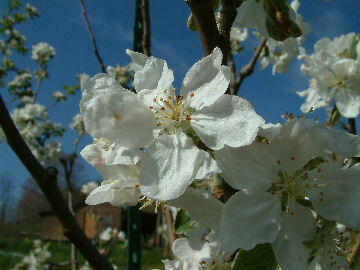 Many early sources describe this apple as White Juneating which is believed to have originated in Europe during the Middle Ages. It was long valued in the South for its early ripening characteristics, but was eventually surpassed in popularity with the introduction of Yellow Transparent, an even earlier variety. Fruit is medium to large with pale yellow skin frequently with a slight reddish blush. The tender white flesh is juicy and quite tart. Ripens late May to June.